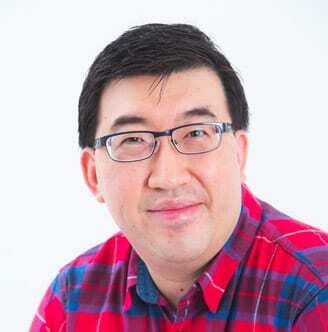 Dr Michael Yeong will be joining our team from 5th March 2019. Dr Michael Yeong provides expert advice and care for babies, children and adolescents with a heart condition. He supports them from diagnosis through everyday management for conditions including murmurs, abnormal heart rhythm, chest pain, fainting episodes, all forms of congenital heart disease, acquired heart disease, such as Kawasaki disease and rheumatic heart disease, and inherited cardiac conditions. His areas of special interest are cardiac imaging (echocardiography and cardiac MRI) and the transition of teenagers with cardiac conditions into adulthood. Dr Yeong graduated from the University of New South Wales in 2002 with his Bachelor of Medicine, Bachelor of Surgery (MBBS). He completed his dual training in paediatric cardiology and general paediatrics (FRACP) at the Royal Australasian College of Physicians (Paediatrics and Child Health) in 2013 and 2014 respectively. Dr Yeong travelled overseas to pursue sub-specialty Fellowship in paediatric and adult congenital cardiac MRI (CMR) and in adult congenital heart disease (ACHD). In 2018, he was recognised as a Fellow of the Society for Cardiovascular Magnetic Resonance Imaging for his work in the field of cardiac MRI. He was an invited lecturer in cardiac MRI during his time in the UK. Dr Yeong has worked in paediatrics and cardiology in a range of hospital settings in Brisbane, Sydney, Canberra, New Zealand, the USA and UK. Prior to returning to Brisbane, he was working as a consultant paediatric cardiologist at the Bristol Royal Hospital for Children, sub-specialising in advanced echocardiography, interventional echocardiography and cardiac MRI. His interest in joining the medical profession stemmed from his desire to help others, including children, to reach their full potential. Today he takes great pride in helping babies, children and young people with cardiac conditions to lead a full and active life. Dr Yeong also holds the following roles – Honorary Research Associate with the University of Bristol, UK, Editorial Board Member for Journal of Congenital Cardiology, Member of Cardiac Society of Australia and New Zealand and Member of Society for Cardiovascular Magnetic Resonance. In his leisure time, he enjoys badminton and road cycling.